With the new season around the corner, comes the arrival of the first guests for unforgettable holiday adventure in our luxury nature resort. To help you prepare for your trip, if you already made a reservation for the upcoming season, or if you are still on the fence to give you a nudge, let us tell you what happened at the Ranch during winter months. Recently we were nominated and won the awards for the best eco-resort and the best family owned tourism destination in Croatia. It’s something like winning hospitality industry Oscar. Michelin added us in their 2018 guide edition. We made it there in 2016 and they are featuring us again (it is a bi-annual edition). Along with DK Eyewitness Travel recognition as the only luxury ranch in Europe and TripAdvisor’s accolades three years in the row, we are setting the bar high in Croatia when it comes to luxury nature resorts. We know that what sets us apart from the competition is the unique transformative experience our guests experience at Linden Tree. These honors and awards give us wings to fly even higher. We have a new web design. So we hope that you’ll like it! Now you can easily browse through our distinctive accommodation units of this Luxury Nature Resort. You can explore our adventures and read about what drives us and why we are investing in the community development and sustainable environment. New web site is easy to navigate, interact with and learn from. Its aim is to help you get relevant information through a simple and clear language. New photographs are also there. Mostly created through a lens of Antun Cerovecki from Undiscovered Landscapes. Our authentic guest ranch and restorative retreat is home to a unique horsemanship. We offer a variety of horse riding programs at the Ranch. It is well known that horses bring the best in humans. Is there a better way to explore the untouched mountain nature? Is there anything that you can compare to the experience of the personal journey within yourself than doing it on a horseback? But horseback riding isn’t the only activity you can do while enjoying our mountain resort. We invite you to explore the other guided and self-guided activities. Find the adventures that you and your family will enjoy the most. 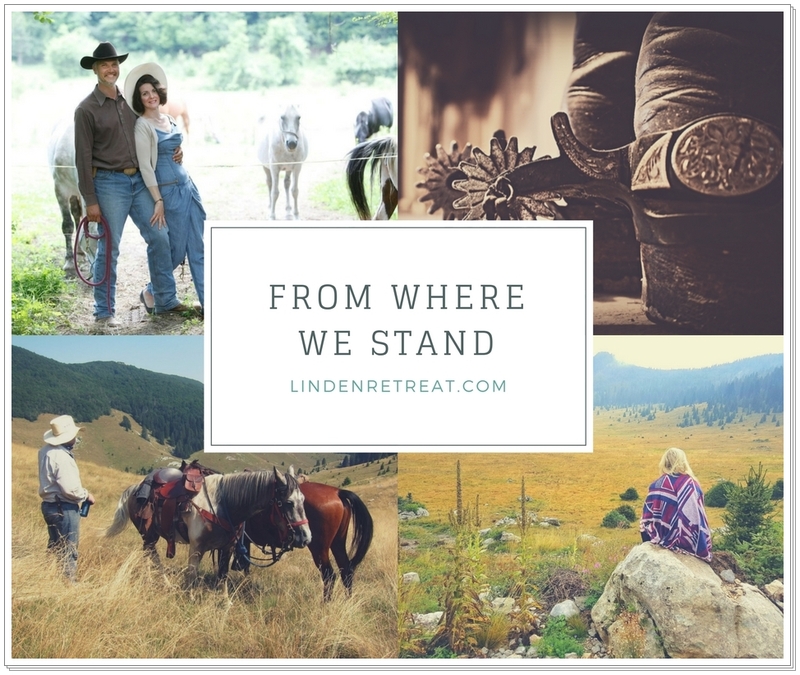 Linden Tree Retreat & Ranch does have a fair supply of vitamin N and you can sample it in one of our wellness facilities and programs. Vitamin N? Does not ring any bells? We invite you to find out more about it on our new website. Linden Tree is eco-resort hidden inside UNESCO Biosphere Reserve. To reveal all the secrets in the new season, you’ll need lots of energy. And energy, at first place, comes from food. Sustainable approach and community engagement are two key ingredients when it comes to cuisine. Most dishes are made from food grown around. Foraged from the nearby meadows and forest. Produced by our friends and neighbors. With the new season, new website and expanded facilities, the Ranch is more than ready for the guests who seek that once-in-a-lifetime trip. The best things in life aren’t things and our mission is to keep providing you with a place for collecting special moments. Because memory is the best souvenir to bring home with you.